Most seasonal items are cheapest when demand is at its lowest, and lawn mowers are no exception. Therefore, the best time to buy a lawn mower is in September and early fall, after the busy summer season has ended. Lawnmowers take up a lot of space on the sales floor, and most stores don't have the space to store their unsold mowers until next year. This means all of those leftover mowers need to go by the end of the mowing season. 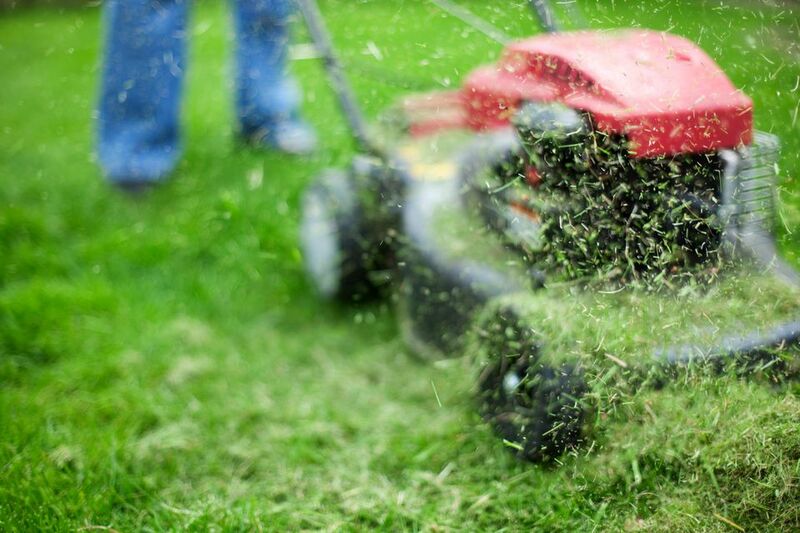 If you need a new lawn mower and can't wait for the end-of-season deals, consider purchasing a mower by mid-May. Many retailers have 30-day low-price guarantees, so if the price drops during a Memorial Day or Father’s Day sale, you can go back to the store for a price adjustment. Another way to save is to try to negotiate the purchase price down from the manufacturer's suggested retail price (MSRP). Many smaller retailers will work with you, especially if you're buying a large-ticket item. If they say no to a discount, see if you can get them to throw in some mower accessories or maintenance items. Even something as small as a free bottle of oil or replacement belt will save you money down the road. Keep an eye out for "10% Off Any Item" promotions offered by many big-box home centers. Even if you have to sign up for a new credit card, it may save you enough money to be worth it. You can save a significant amount of money by purchasing a used lawn mower. For a two-to-three-year-old mower that's in good condition, expect to pay no more than 60-70% of the retail price if you're buying from a dealer and considerably less if you're buying from an individual. It's best to stick with popular, well-reviewed brands and models, so you know what you're getting. Make sure the mower you're considering doesn't require costly repairs that would outweigh any potential savings. If you're purchasing from a dealer, ask what work, if any, the shop has already done to the mower, why the previous owner sold it, and whether there's any warranty (a 30-day warranty is common). If you're buying from an individual (check Craigslist and local classifieds for listings), ask whether the owner has kept any paperwork on the mower, such as the original receipt and any service records. This will give you a good idea of how the mower has performed. If this information isn't available or you're uncertain, you may want to have it looked at by a local dealer or shop. Ask them to check if any parts need to be replaced and whether the unit's oil has been changed regularly. A well-maintained used lawn mower can offer plenty of years of service for a fraction of the price. If you're handy, you may be able to save even more by purchasing a mower that needs a bit of work. Check the owner's manual for parts numbers and shop online for the best deals on replacement parts. Take good care of your mower, so it performs well for you. Regular oil changes, air filter replacements, and annual servicing will ensure that your mower operates efficiently and for many years to come.